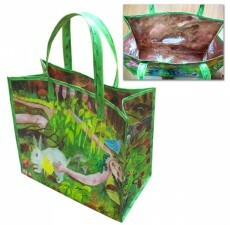 Custom Grocery Bags is excited to present this beautifully laminated, recycled tote bag. 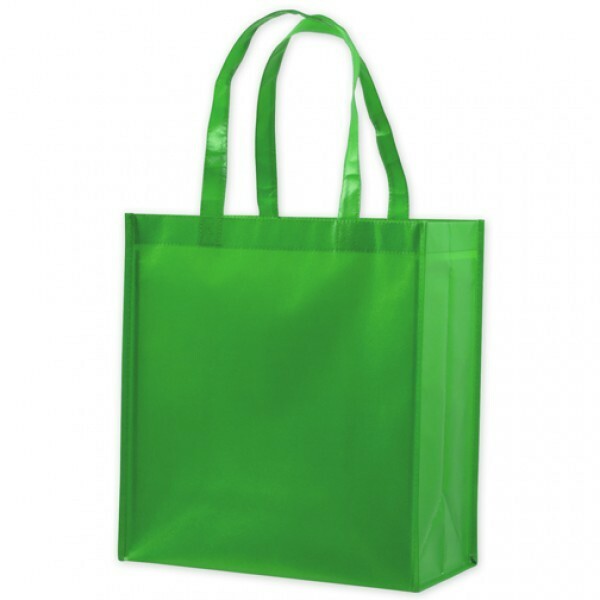 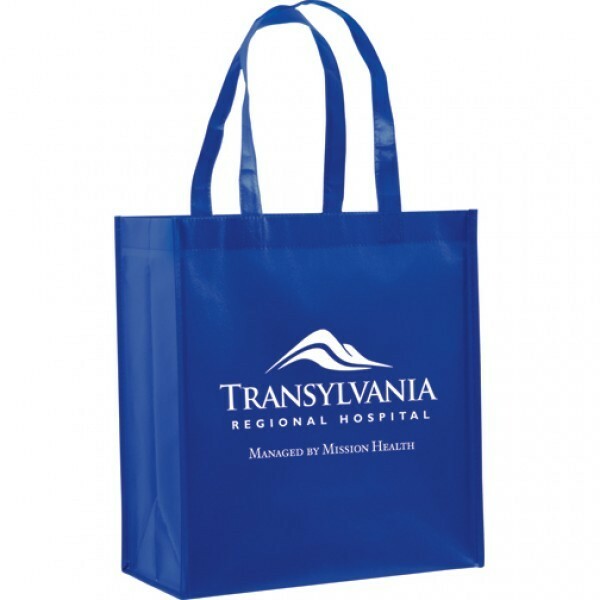 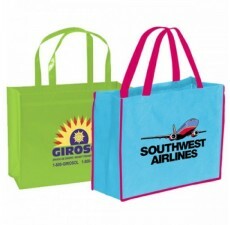 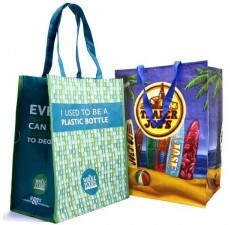 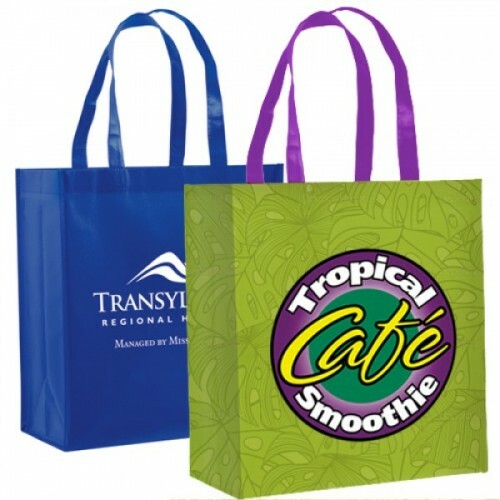 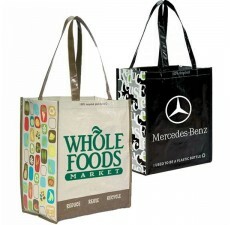 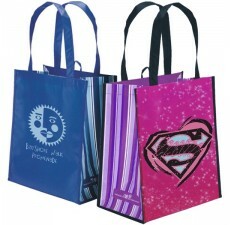 Made from non-woven polypropylene, this tote bag is the perfect marketing tool to bear your brand. 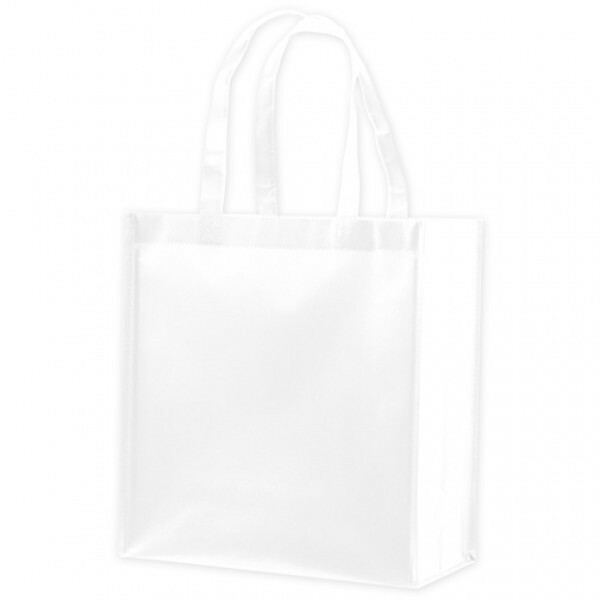 In addition to being laminated for maximum durability, this designer tote bag UV resistant, water repellent and tear resistant. 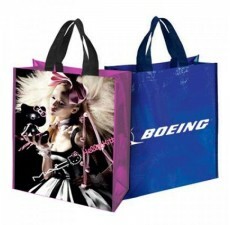 The high gloss finish makes the bag look fashionable, and your customers will be sure to get compliments while carrying it around. 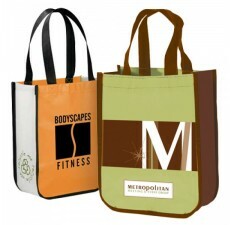 If you have any questions about customizing this beautiful tote bag, contact Custom Grocery Bags today.